Consider the voltage of the battery bank. 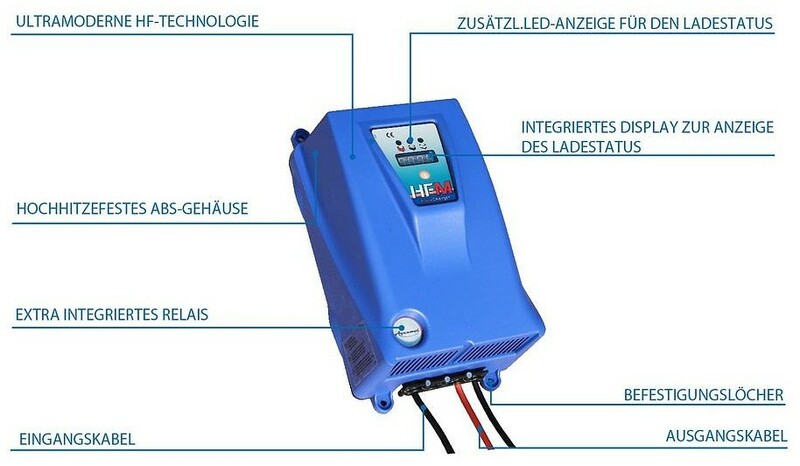 The output voltage of the charger and the total voltage of the battery bank have to be always identical. Determine the total capacity of the battery bank. ATTENTION: The capacity of the whole battery bank is only decreased in parallel connection, not in serial connection.